Customize and configure any business process. Through the depth of our customization capabilities, ibs Workflow can cover any business process. Automating business processes can be technical and complex. Thanks to ibs Workflow fully graphical interface, no technical notions are required to build scenarios. All the technical procedures are done behind the scenes. 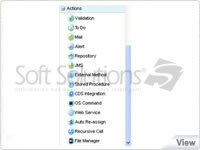 ibs Workflow Solution provides the administrator with many different objects to be linked together to build a complete scenario. The diversity of the different objects permits the user to automate any business scenario. External: the Scenario is launched whenever an event occurrs in a Solution external to Soft Solutions” and its result has been interfaced with Soft Solutions' Suite. When creating this event, the Administrator will have a configuration screen covering most of the possible frequencies and its different configurations. 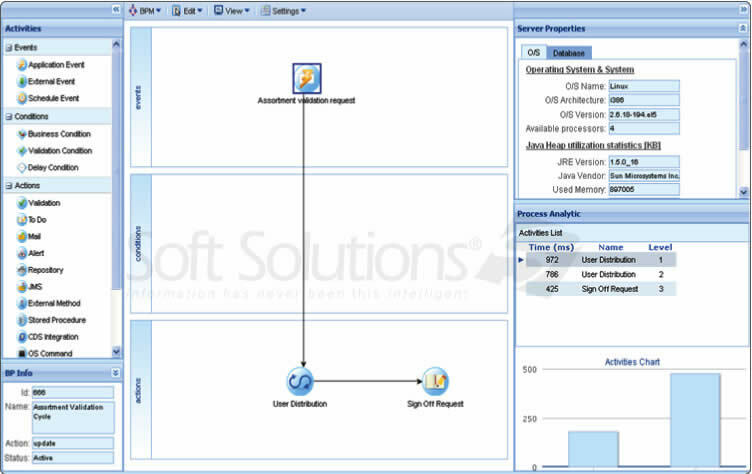 Based on the Business Model, the user will select the object that needs to be monitored. Then, he will select if the object should be updated, a new record should be added or a record should be deleted to launch the process. 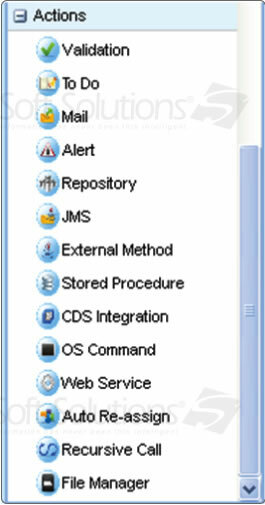 The user will define a procedure that will check the integrated tables, which need to be updated to launch the scenario. The user can specify the trigger and give it some conditions. Ex: Launch the process whenever an item is created, if the item belongs to the Category "Textile". The condition can be set on the Business Object if it is a simple one. ibs Reporting configures Advanced conditions via Query Builder engine. For the validation cycle parameterization, the user may use the "Validation" Condition. 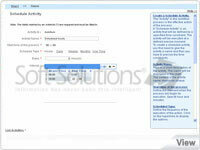 For the task survey, the user may use the "Delay" condition, to send another action after a delayed to-do task. 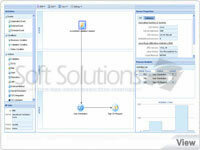 CDS Integration: execute automatically an integration process configured in ibs Integration. The Auto Re-assign: if a To-Do task is not closed in time, the task may be reassigned to a backup user. The Recursive call: if the administrator defines an internal triggering event, he may want to define dynamic receivers depending on their responsibility scope defined in ibs System. Then he will add the recursive call activity. The File Manager: whenever a report will be generated on a shared folder, the administrator may want to organize the files into different folders, depending on an algorithm that will be stored in this activity.